Chris Robinson Brotherhood plays Wednesday, Dec. 5, at Gundlach Bundschu Winery, 2000 Denmark St., Sonoma. 7pm. $45 and up. gunbun.com. MUSIC WITH A VIEW Chris Robinson (center) says the North Bay's 'utopian music bubble' inspired latest batch of tunes. In Shakespeare's greatest tragedy, Hamlet's chief counselor, Polonius, gives him the advice, "to thine own self be true." If there was ever a mantra that Chris Robinson embraced fiercely, this is it. While he found enormous commercial success alongside his younger brother, Rich, in the rock band the Black Crowes, personal dynamics and expectations fueled by the corporate music industry fractured the band in 2002 and eventually led to its breakup in 2015 after several attempts at regrouping. 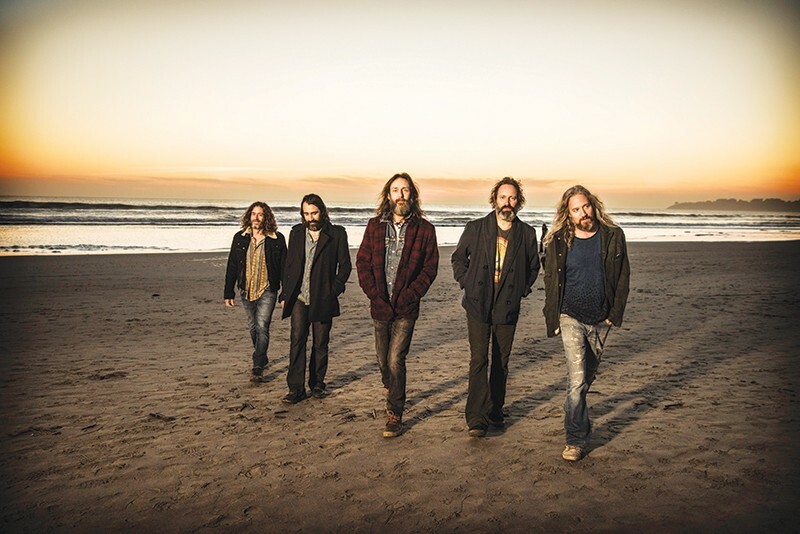 For the elder Robinson, the Chris Robinson Brotherhood, which formed in 2011, has been an escape from commercial expectations and a chance to satisfy his creativity. "I had this music, and the songs were piling up," says Robinson. "[Keyboardist] Adam MacDougall and I were on the Black Crowes tour putting together a little repertoire of songs. We did this knowing that the Black Crowes were this dysfunctional weird thing, which was nothing new. "I'm a different person," he continues. "I wanted my presentation to be different. Luckily, we got in with a group of people and made a sound that we liked, and we can exist in our little utopian music bubble." The Chris Robinson Brotherhood, which found a home in the hills of West Marin that Robinson refers to as "Unicorn, California," and which solidified into a lineup that includes guitarist Neal Casal, MacDougall, bassist Jeff Hill and drummer Tony Leone, is currently touring in support of 2017's Barefoot in the Head. For Robinson, the band's fifth full-length studio album was a chance to get rootsy with material he was penning while on previous tours. "When we went in to make Barefoot in the Head, I didn't want any instruments that we used before or anything that we played on tour," he says. "We had different amps and guitars, and I wanted us to play a lot of acoustic instruments." The band's been playing the new songs live for over a year and excels at creating a communal, musically satisfying experience for all. "That's what we shoot for," says Robinson. "Where everyone is involved."